After a string of Confederate defeats in Missouri in 1861 and at the Battle of Pea Ridge, Arkansas, in early March of 1862, federal control over Missouri was well established but still under constant threat by local Southern sympathizers and bands of “bushwackers” that kept the region in a state of violent turmoil. Taking advantage of these resistance groups, Confederate strategy shifted from fighting for control of Missouri to using it as a source for supplies and new recruits. In the days leading up to the First Battle of Independence, Confederate regular and irregular forces were moving throughout Missouri in an effort to attract those recruits, secure supplies, and to further disrupt federal control of the state. Union forces, generally located in politically or strategically important towns and cities, were charged with finding and destroying these moving targets and holding the areas already under control. Lieutenant Colonel Buel, stationed in Independence, was aware that Confederate forces were gathering in Jackson County and sent a patrol under Captain Breckinridge of the 7th Missouri Cavalry to locate the Confederates in preparation for an attack. The first prong, under William C. Quantrill, quickly shot down the few federal sentries and took control of the Independence town square. Confederate Colonel John T. Hughes, an experienced Mexican War veteran and noted author, was not hard to find. Just a few miles away from Independence, Hughes established camp at Lee’s Summit, Missouri, and made clear his intention of attacking Independence to reduce federal pressure on his recruitment efforts and secure any supplies within the city. Strangely, the federal reconnaissance failed to locate the nearby Confederates, though their camp was visible from the top of the Independence courthouse and concerned citizens repeatedly warned against imminent Confederate attack. Buel prepared to send out a stronger force. Meanwhile, Confederate guerrillas, dressed as civilians, infiltrated Independence and provided Hughes with a detailed layout of the Union defenses, which were situated in isolated pockets in a field encampment, the jailhouse, and a two-story bank building comprising Buel’s headquarters. In the pre-dawn darkness of August 11, 1862, the Confederates launched their attack. The first prong, under William C. Quantrill, quickly shot down the few federal sentries and took control of the Independence town square. From there, Quantrill’s men unsuccessfully assaulted the bank building but trapped Buel inside with his men, under the direct command of Captain Rodewald. Buel and Rodewald held the building against repeated enemy charges for over three hours. With this initial attack, the contingent of federal soldiers stationed at the jailhouse fled toward Kansas City and left the building and its inmates to Confederate guerrillas led by George Todd. Once he entered the jail, Todd murdered the town marshal, who ironically was detained in his own jail for killing a city citizen who himself had ambushed Todd’s men in a previous fight. A federal officer, left behind at the jailhouse during his unit’s rapid retreat, was also summarily executed. The second prong of the attack, launched at almost the same time as the first, was led by Colonel Hughes against the strongest federal concentration of troops located in the field encampment. Initially the Confederate attack was successful as it surprised the sleeping federal soldiers in their tents with the first volley, killing several and nearly creating a panic. But the Confederates stopped to loot the encampment, which gave precious time to Captain Jacob Axline to take charge and reform his men behind a nearby stone fence. By 6:00 a.m., the Confederates had captured the jailhouse, rendered Buel powerless by trapping him inside the bank building with its defenders, and were moving in on Axline’s stone wall. At this point, Hughes led an attack designed to flank Axline’s men from their position, but he was immediately killed. His successor, Colonel Gideon W. Thompson, tried again without success and was wounded in the leg. Confederate Colonel Upton Hays took charge of the fighting but was also unable to dislodge the federals from their stone wall. Quantrill, laying siege to the bank building, finally broke the stalemate by threatening to set fire to a building adjacent to the bank and burn out the defending federal forces. Under this threat Buel communicated his desire to surrender to Thompson, provided that they would be treated as prisoners of war exempt from the violence they anticipated from Quantrill’s irregular forces. The arrangements were quickly made and Buel surrendered his remaining 150 men, all of whom were immediately paroled. With the July 1862 promotion and departure of Major General Henry W. Halleck from command of the Department of the Missouri to General-in-Chief of the Union Army headquartered in Washington D.C., the defeat at Independence occurred in a vacuum of leadership for the Union high command. Brigadier General John M. Schofield, commanding the Missouri Militia and nearest to the scene, was left to his own devices when he learned of the Independence debacle. Schofield swiftly ordered reinforcements from both Missouri and Kansas to converge on Jackson County. These reinforcements did not include the 150 survivors of the First Battle of Independence, who were all quickly mustered out of the army. Lieutenant Colonel Buel faced court-martial charges for cowardice and conspiracy. While strong Union columns were moving in from the east and west, Quantrill’s guerrillas stayed in Independence to loot the city. The remaining regular Confederate forces, lacking the cohesion of an organized fighting force and with nearly a third of their 32 battle deaths having been officers, dispersed into their component commands. On August 15, 1862, these and other units coalesced again to defeat federal forces at Lone Jack, Missouri. The twin victories at Independence and Lone Jack bolstered Confederate morale both in the military and for the sympathizers and guerrillas, especially those of newly commissioned Confederate Captain William C. Quantrill. That organized Confederate forces would leave Missouri, despite these victories, was a foregone conclusion given their strategy of using the state as a source of supply and recruitment. Additionally, the Union Army in Missouri continued to receive reinforcements, which eroded the ability of the now-outnumbered Confederates to maintain their positions. The Battles of Independence and Lone Jack escalated the militancy of the conflict on both sides, but they had little effect on the balance of power in Jackson County, Missouri, and surrounding areas. The Confederates soon moved back to their staging points in Arkansas, and Union forces resumed control of the cities and patrolled the countryside within the reconstituted Department of the Missouri under Major General Samuel R. Curtis, with Schofield in charge of the newly created Union Army of the Frontier. 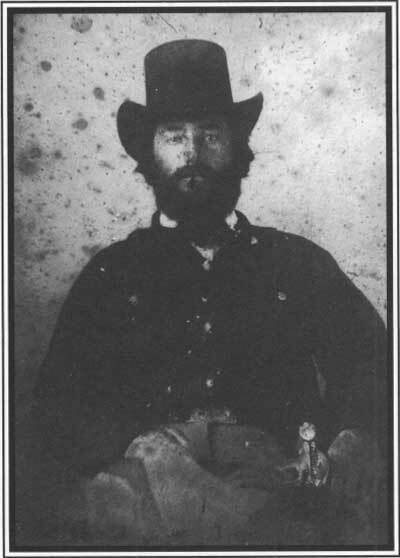 Brownlee, Richard S. Guerilla Warfare in the West 1861-1865. 1958. Reprint, Baton Rouge: Louisiana State University Press, 2009. Gilmore, Donald L. Civil War on the Missouri-Kansas Border. Gretna, LA: Pelican, 2006.